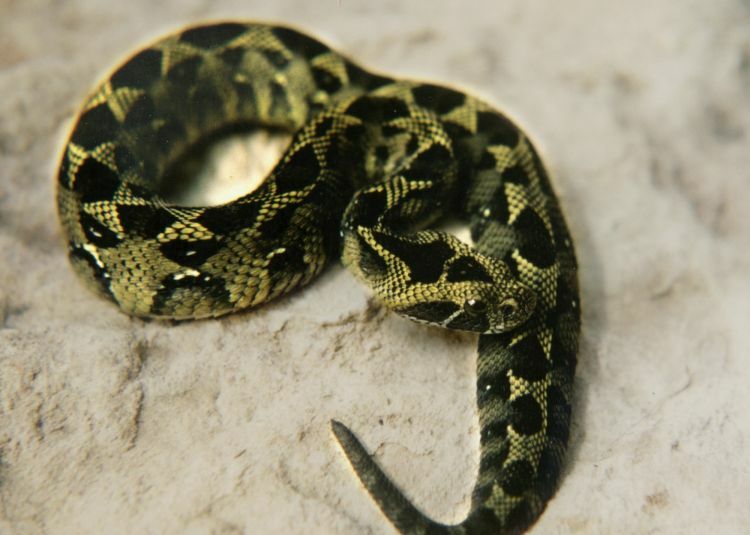 Found only in Ethiopia, this venomous snake is called Bitis parviocula with spectacular geometric markings. 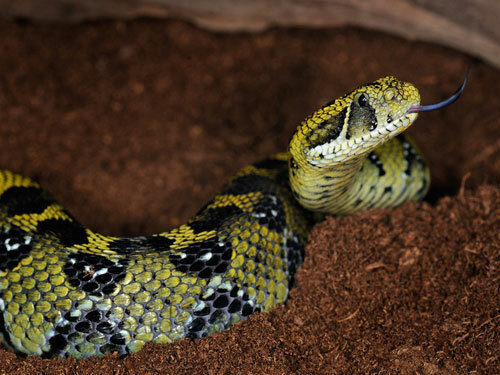 This large viper has a broad head with a maximum recorded specimen 75.2 cm in length. 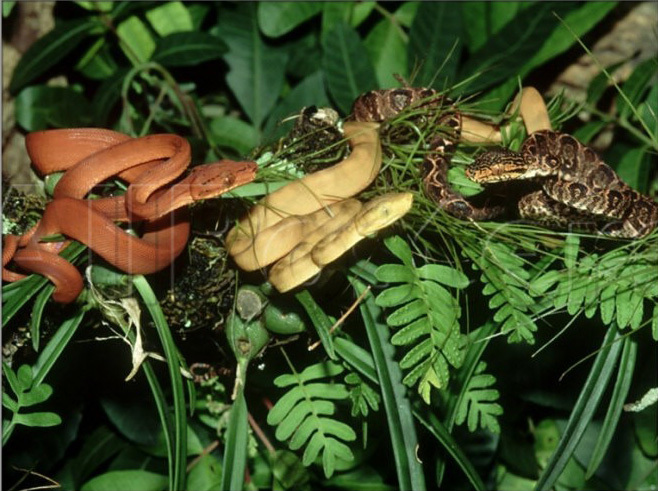 Scientific name Corallus enydris, the brightly colored species of snake named the Amazon Tree Boa is found in Costa Rica, Panama, and northern South America, through most of Venezuela and Guyana, and south and westward through Amazonian Columbia, Ecuador, Peru, Bolivia, and Brazil. Scientific name Thamnophis cyrtopsis ocellatus, this pretty colored snake grows to a full length of 16 inches to 20 inches with the longest ever recorded measuring 43 inches. In captivity, this snake is friendly and gets accustomed to a life. Scientifically named Chrysopelea paradise, this beautiful snake is also called Paradise Flying Snake. 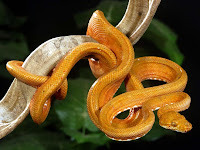 This species is found in Asia, mostly in moist forests and can cover a horizontal distance of about 100 meters in a glide from the top of a tree. 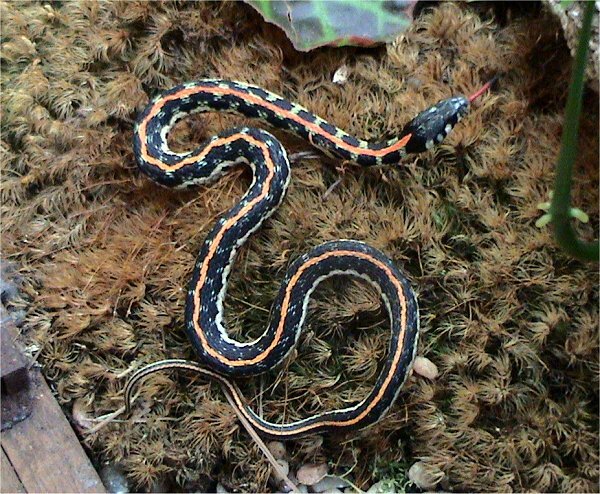 It can glide by stretching the body into a flattened strip using its ribs. This beautifully colored snake is found in Florida,USA in pine flatwoods,hardwood hammocks, prairies, cultivated fields, and suburban areas, scientific name Lampropeltis triangulum elapsoides. It usually measure under 20 inches long. 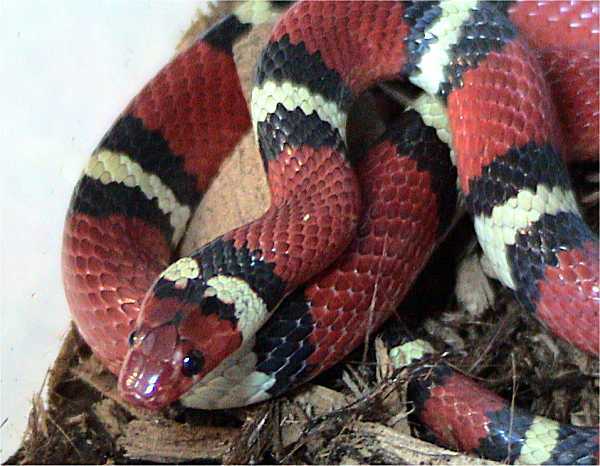 The maximum recorded length was 68.5cm (27 inches). Neonates (newborns) can be as small as 3 ½ inches.